Chrysosplenium oppositifolia. 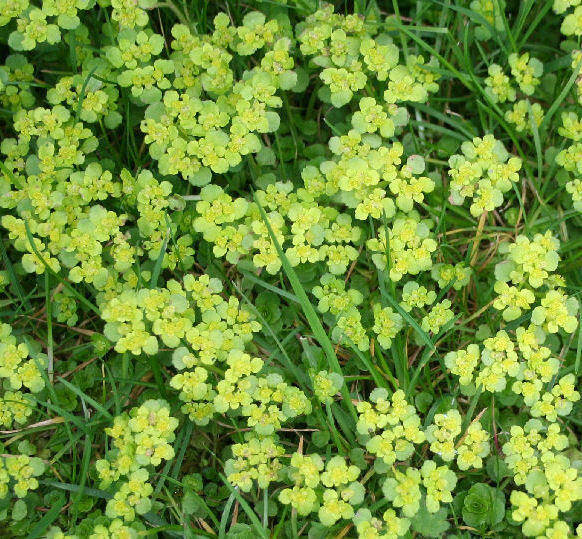 This is a native wildflower in the saxifrage family, and is common in damp woods and on the banks of little shady streams in the wild, but rarely seen in gardens. 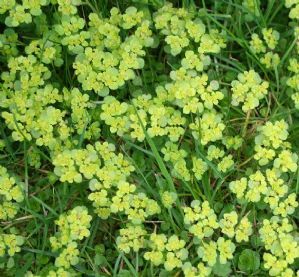 It provides a magical glowing carpet under trees and in the lawn in Spring, as long as it is damp and shaded for most of the day. In summer it dies right down to invisibility again and you can mow the lawn over it.